There are ways to neutralize most fears and anxieties. Is any place safe anymore? Terrorists and the violently insane seem to delight in causing this kind of vague free-floating anxiety through spectacular acts of mayhem. In November 2014, after the back-to-back deaths of two Canadian soldiers, international relations professor Jez Littlewood of Carleton University noted how 83% of Canadians favored blocking internet sites promoting extremist ideologies. Toronto-based researcher Shachi Kurl reported that such recent events have shaken Canada’s sense of security. Seemingly, wherever we look our cup of worry seems pretty full. Sadly, the constant drumbeat of 24 hour news seems almost designed to keep us on edge. As the media savant Marshall McLuhan said years ago, “We don’t have eyelids any more. We wear all humanity on our skin.” Of course it goes without saying that there are many beneficial uses for our cell phones and twitter accounts. The ability to get help with fundraising, express support to victims or even head off certain life-saving issues are greatly accentuated by our new technology. The main thing is not to be paralyzed by fear. Let’s remember, our parents and grandparents lived through the greatest man-made catastrophe in history – World War II. Upwards of 50,000,000 died in that colossal struggle, the most momentous event of the 20th Century. So perspective helps. Christians are not immune to the temptation to fear. Anxiety is a hallmark of the times and we are all affected to one degree. 1. Local police are still your first responders. If you suspect anything unusual the police at 9-1-1 are the first to contact. 2. Be careful with ID, passports, and other personal documents – terrorists fervently seek out other identities. 3. Guard your credit cards, loose cash, and avoid suspicious charities. Cutting off funding is a prime anti-terrorist tactic. 4. Consider the Three Day Rule: first responders often advise us to have emergency food and water on hand, walking shoes and a flashlight near the bed in case we are on our own under a major attack. 5. Be aware and have your children aware of main switches for shutting off water, gas and electrical power. 6. Report anything unusual at work or on public transport – suspicious packages, untended vehicles parked illegally. 7. At work make someone specifically responsible for security. Having people briefed on stairwells, emergency alternate exits, etc. made a difference for those escaping the Twin Towers on 9/11. 8. Talk to our children – calm their fears. Stress that only four out of some 5000 planes aloft on 9/11 were hijacked. That is, the odds of being safe even on that day were exceptionally high. 9. “Deserve Victory.” The British applied this during four years of heavy bombing and terror by night (1940-1944). Don’t let the threats disrupt normal plans and activities. 10. Get to know and love your immigrant neighbors. Terror threats in both Canada and the UK have been prevented after timely tip-offs from within newly-forming Islamic communities. We seem to live in more dangerous times. But we can all have a part in helping ourselves and our neighbors deserve victory. building a private nuclear bomb calls for large amounts of dangerously charged plutonium, but stored where – in a suburban basement? many fear a trip to the Holy Land but tour groups return safely almost every day! So we can take heart. The Christian hope inside us through the gift of the Holy Spirit can rise up and subsume our fears. Biblical writers have already catalogued, named and circumscribed our fears – including the fear of a sudden meaningless death (Hebrews 2:15). Fear and anger are primal emotions and Bible writers gave us the antidote. Bible teacher J.D. Douglas distinguished among “godly fear” and the slavish fear that is the result of sin or a perceived threat, the fear of men and the normal existential dread of death. The Prophet Habakkuk was reminded that God is still at work behind the scenes. “Holy fear is God-given,” wrote Douglas in the New Bible Dictionary, “enabling men to reverence God’s authority, obey his commandments and hate and shun all forms of evil (page 365).” This is healthy fear, such as the fear of driving too close to the cliff. 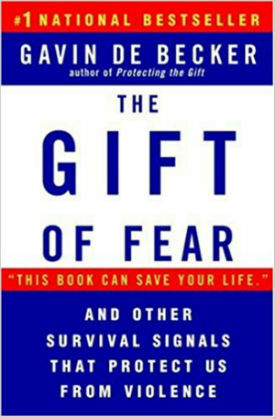 Counselors tell us that fear, of itself, is a neutral condition. The corrupt Roman governor Felix feared when St. Paul spoke about future judgment (Acts 24:25). But the Philippian jailor was quickly motivated by fear to seek God after an earthquake set St. Paul free (Acts 16:29). 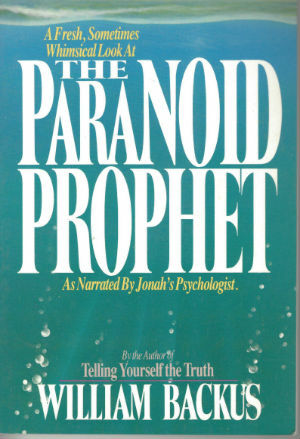 Theologian Ralph Earle wrote trenchantly about what some see as the most repeated command in the Bible – “Fear not!” Jesus is quoted in the Gospels using the Greek word “phobos” from which we get “phobia.” Says Ralph Earle: “Jesus used it in the sense of [not] being afraid of the future. He comforted his disciples with the words, ‘Don’t be afraid; you are worth more than many sparrows’ (Luke 12:7). In verse 32 of the same chapter he says ‘Do not be afraid little flock, for your Father has been pleased to give you the kingdom.’ Fear as a preventative has value. But fright or terror has no place in the Christian’s life, at least in his relationship to God” (Evangelical Dictionary of Theology, page 409). Old Testament writers relied on God’s true character as a secure bastion against fear. Take Psalm 91, for example. These verses bathe our mind in engaging and positive declarative sentences. “He who dwells in the shelter of the Most High will rest in the shadow of the Almighty.” Most Christians have such a shelter. It is called our prayer closet where we can pour out any thing at any time to our great God. Oh, what a relief is an ongoing prayer life in these times of stress and strain. That’s why we chime in with the Psalmist, “we can say of the Lord: He is my Refuge and my Fortress, My God, in whom I trust” (verses 1-2). The ancient gods were usually hideous repulsive incarnations with scary wolf heads and lion feet. In contrast Israel’s God was described in tender loving terms in Psalm 91:4, “He will cover you with his feathers, and under his wings you will find refuge.” Jesus repeated that very image in Luke 21 when he wept over the doomed city of Jerusalem, a place he loved and that he wished he could shelter as a hen does its chicks. But this is a harsh world and Psalm 91 also reflects images of God as a Shield and Buckler i.e. bronze and iron defenses for tough realities. Verses 3-6 lists seven perils that faced people in that day – and now. Pestilence comes first – does EBOLA ring a bell? Verse 5 is eloquent: “You will not fear the terror by night.” Terror by night. This one hits close to home. 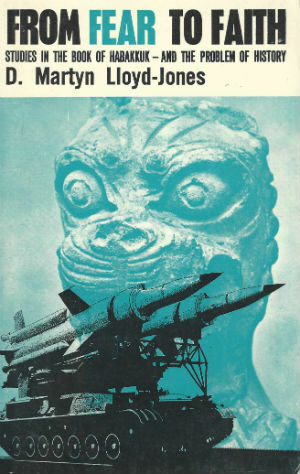 Growing up in the Cold War deep freeze of the 1950s I remember reading about nuclear bombs on planes. I had to wonder sometimes when I heard planes flying overhead, an air base just 10 miles way: is this the one that will end it all? Prayer: David, Hezekiah, Jesus – all sought God in times of trouble. Thankfully, we learn as we get older that most of our fears are not real. As De Becker writes, “The very fact that you fear something is evidence that it is NOT happening.” But it’s often that nagging fear of the unknown or simple existential dread, that is, the sense of emptiness and uncertainty from just being human that can get to us at times. Psychologists call it “existential dread.” The generalized free-floating sense of a lack of control that modern living induces with its rising prices, freeway dangers, constant crime reportage – all this makes us vulnerable to escalating even our legitimate worries and concerns, what Jesus called “the cares of this life” (Matthew 13:22). We now have pervasive electronic technology to keep us awake and fretful all night if we let it. It’s not that we don’t need to watch “the news” to stay informed for Christian commentary and perspectives and the ability to pray for people in distress, but…there needs to be a balance. “Let not your hearts be troubled,” Jesus counseled (John 14:1). Christians are not to live at the whim of every speculation, rumor, supposition and conjecture. Televised or tweeted. The second half of Psalm 91 is well worth looking into. It offers us the ultimate “protection” song. Note verses 7 and 8. The forceful Hebrew poetry summons us from fears of “the arrow that flies by day, the pestilence that walks at noonday.” Ten thousand falling at your right hand would have conveyed to the Israelites God’s mighty deliverance at the time of the Exodus, and that is something Christians can meditate on with profit. The Israelites were slaves and under cruel taskmasters. But God hates injustice. He does not tolerate evil forever. The wicked surely get their come-uppance even in this life (Psalm 37:12-15). Think of it: the great threatening dictators of history usually come to sticky ends. Perhaps…if we were more advanced in Christian faith and love we would have no debilitating fears whatsoever. But who is that perfect? There are even godly uses for fear – Jesus experienced godly fear in the garden of Gethsemane (Hebrews 5:7). He is a stellar example of facing three brief questions when confronting our fears: First, what is the worst that can happen? Second, can I improve on the worst? Third, can I face the worst? 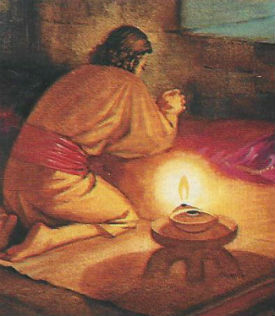 During his last night on earth Jesus prayed under extreme tension. His sweat fell like drops of blood when he knew the kind of death that was waiting before him. But with the help of God’s presence he hammered his fears into submission. He persevered through three intense rounds of prayer, perhaps the most intense ever offered. But by connecting with God’s Spirit of power, he was ready for the test. He faced the worst. “Rise, let us go! Here comes my betrayer!” he stated confidently (Matthew 26:46). He was once again, the Master. Jesus showed us that fear can drive us to our knees, help us take wise precautions, and drive us to our knees. Perhaps, that is the best thing that can be said about it. Jonah – God's greatest servants have succumbed to paralyzing fear at times. Gethsemane reminds us that when trouble comes and fears scream in at us as panic attacks or nervous exhaustion, then we must cast our eyes even more upon Jesus. He prayed like few men and women before or since. He knew Psalm 91whose promises are wonderfully comforting and encouraging. “I will protect him,” “I will be with him in trouble.” “I will deliver him and honor him.” The psalm ends with the one word that rises to meet every crisis – “salvation.” Salvation in Hebrew was yeshua which became a man’s name “Joshua” which in the NT is translated “Jesus." So Jesus has written himself indelibly into this psalm. Here is hope. Here is “blessed assurance,” “trouble in a time of storm” as the old spiritual puts it. And so we as Christians are encouraged to mediate upon such promises. We can’t let this wandering and wicked old world system throw us off track (Romans 15:4). Cyber trivia and Internet anxiety and crazed terrorists can do their worst but God’s people know better. We have learned godly fear rooted in a reverent and humble dependence upon the God of Salvation who promises freedom from fear.